Great for banquets, receptions, and much more! Disposable - perfect for easy clean up! Clear Plastic Serving Forks - 4 Ct. This 5 oz. 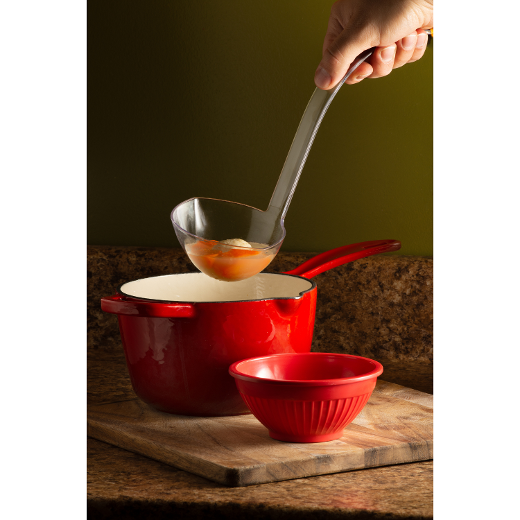 clear plastic ladle is perfect for serving soup, punch and everything in between. Made of heavy duty plastic, each ladle features a crystal clear design and an elegantly curved handle. Great for banquets, receptions, and much more! L: 12.0 in. W: 4.5 in. H: 4.0 in.